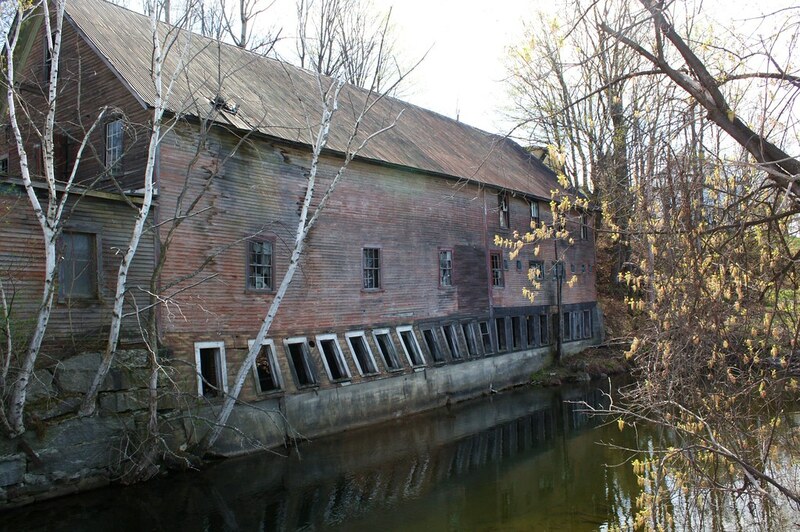 This mill pond and mill are at the outlet of Crystal Lake in Barton Village. I once thought I knew which mill this was, but I’ve been told I’m wrong. Crystal Lake empties into the outlet on the left. 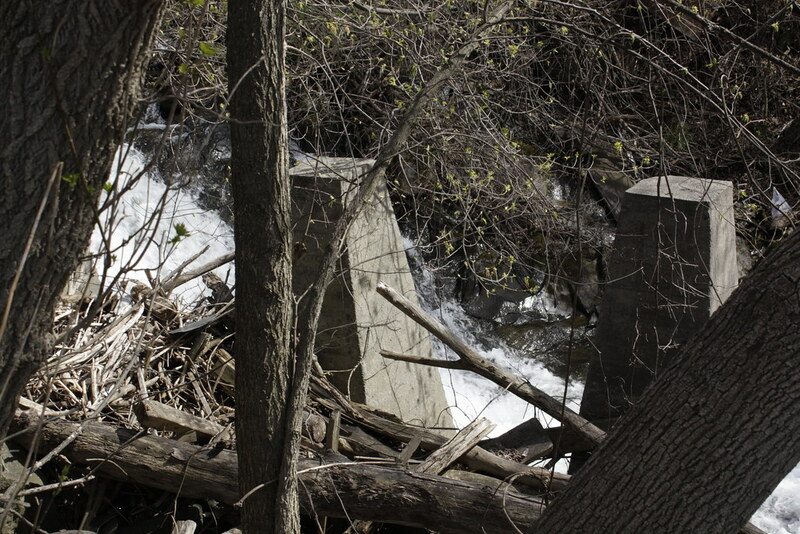 At the right of the pond, the water rapidly goes over five falls (see the photo below). The water goes under E.M. Brown’s (our hardware and seed store) because they used to grind flour. E.M. Brown is the building on the left. Below you can see the water leaving the cellar of the building. 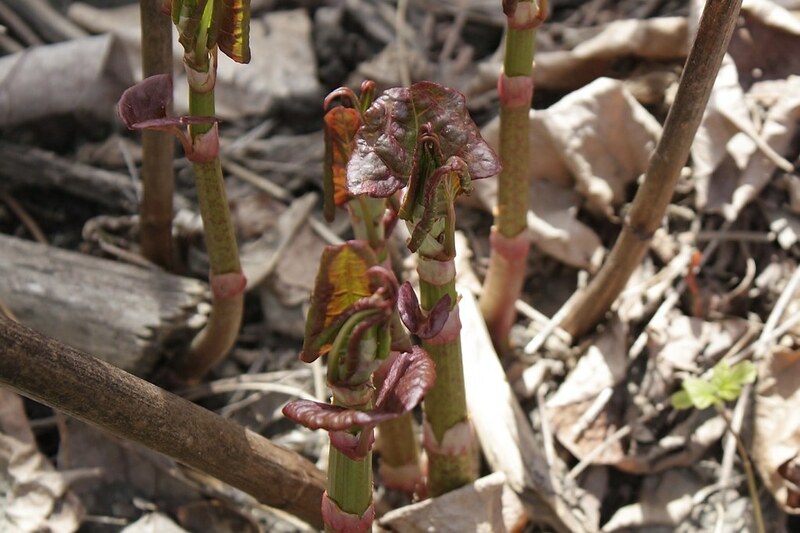 As you walk down Water Street, following even more falls where over ten mills once operated over one hundred years ago, you come across the vile Japanese knotweed (below). 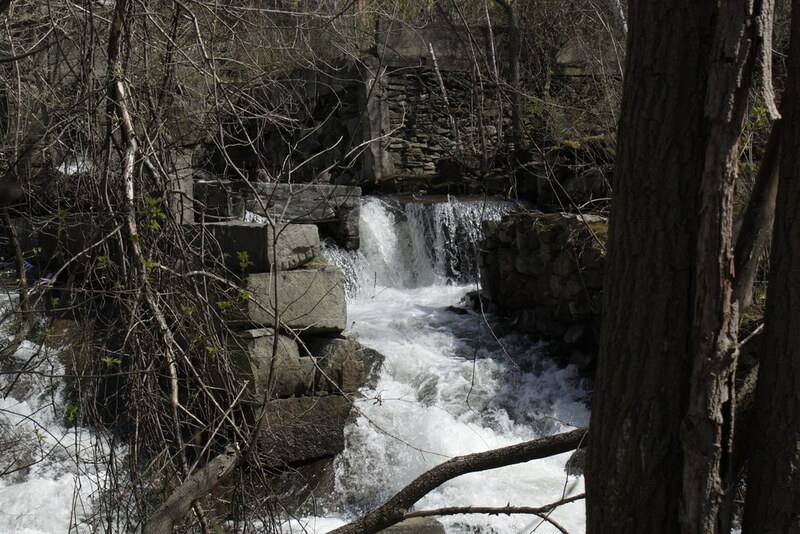 The mill falls along Water Street show many ruined foundations of mills that were on the bank. 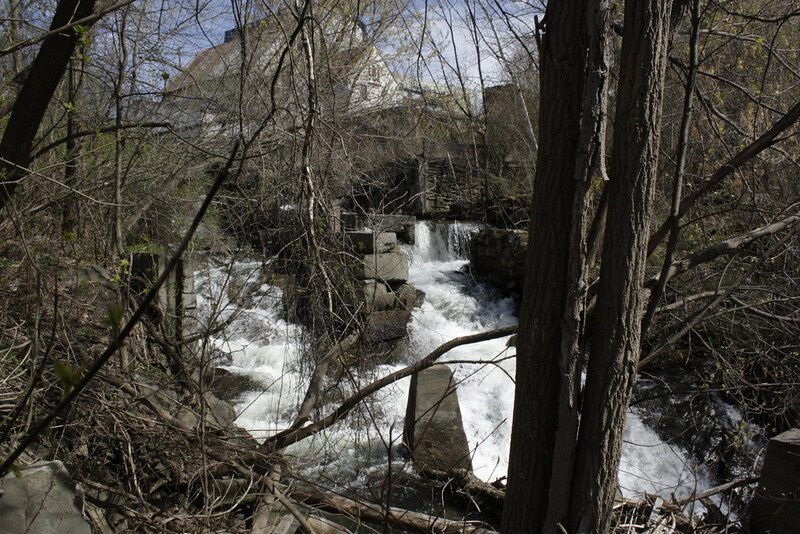 In the photo below, you can see E.M. Brown’s store above the mill falls. The Brick Kingdom trail goes behind E.M. Brown and down the other side of the mill falls through the now wooded area where there were many other businesses, including a Steinway Piano factory that made the key works, a brick yard and the Peerless Underwear Factory. Some old mill relics by the side of the falls and by the side of Water Street. 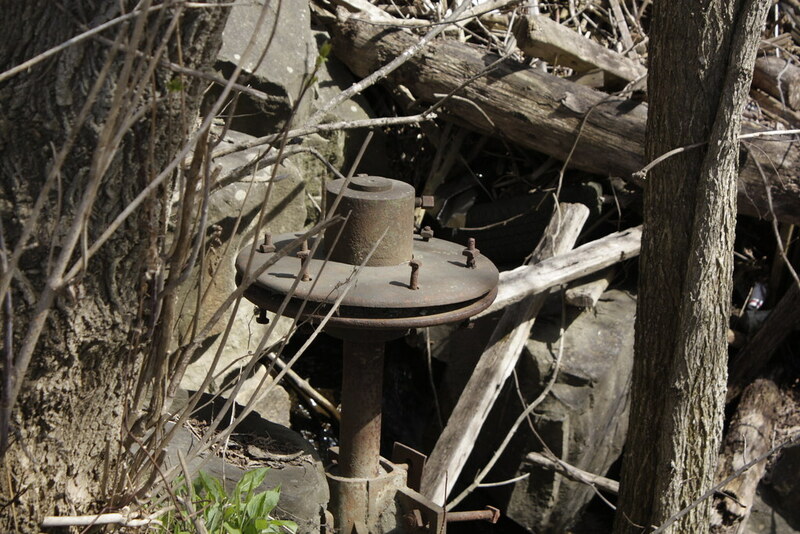 Below is one of many mill wheel shafts that are abandoned by the falls. There are also a few pylons that were the foundations for old mills. 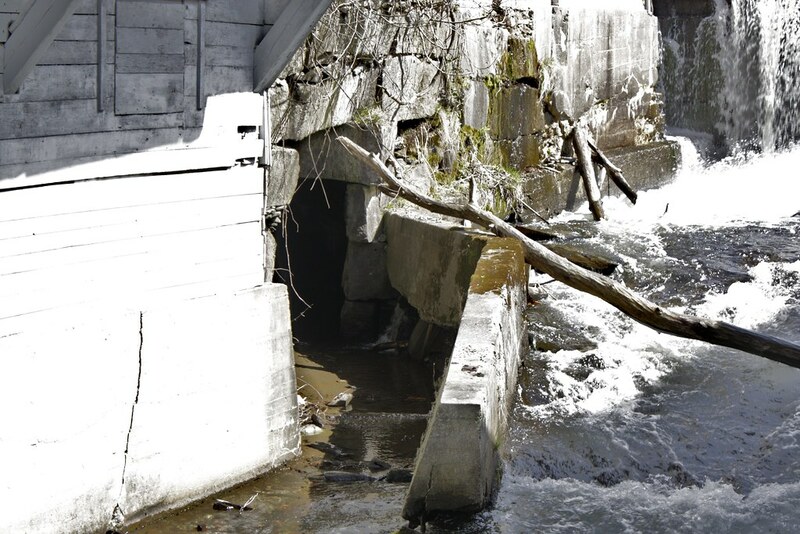 The water was able to run underneath the mill and power the mill wheels. The Brick Kingdom (named by students of the Barton Graded School) is a fascinating piece of history that is right in the middle of Barton Village. It needs to be upgraded and a complete and clearly written guide need to be available. Trail markers explaining what a visitor sees would be most helpful.